The kids loved the pool. The room was clean, although the beds were very hard. The hotel is in a great location, and the staff were really friendly! Our room was nice and updated, one of the beds had smelly coffee stains and the hair dryer wasn't functioning. The pool was out of service too, so we left earlier than expected. Where to find Jacksonville hotels near an airport? How can I find hotels in different Jacksonville neighborhoods? Where can I find hotels in Jacksonville that are near tourist attractions? If you're thinking of taking a vacation in the Northeast Florida region and you want to book short- or long-stay accommodation in Jacksonville, you have a comprehensive list to select from. Expedia currently lists 35 accommodation options within a 0.1-kilometre (0.06-mile) distance of the heart of Jacksonville. The Hyatt Regency Jacksonville and Omni Jacksonville Hotel are the most central lodgings in Jacksonville. With 18 Expedia hotels, Southpoint is an accommodation area that could be a good place to base yourself. It is 10 kilometres (6 miles) from downtown. 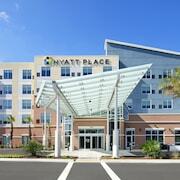 Hotel options here include the Jacksonville Marriott and Courtyard by Marriott Butler Boulevard. Another popular place to stay is Atlantic Beach. 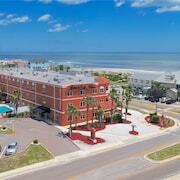 Atlantic Beach offers the One Ocean Resort & Spa and Holiday Inn Express & Suites Jacksonville-Mayport/Beach. Or, try Fernandina Beach, where you'll find the The Ritz-Carlton, Amelia Island and Era Fernandina Beach Realty. Jacksonville Beach is 25 kilometres (15 miles) from Jacksonville's downtown, while MacClenny is 45 kilometres (27 miles) from the heart of Jacksonville. 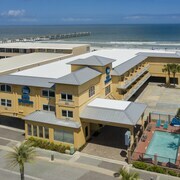 The Hampton Inn Jacksonville Beach/Oceanfront and Courtyard by Marriott Jacksonville Beach Oceanfront are in Jacksonville Beach, while Econo Lodge - MacClenny and Motel 6 MacClenny, FL are located in MacClenny. No trip to Jacksonville would be complete if you don't take a trip to the Cummer Museum of Art and Gardens. 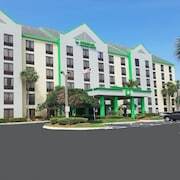 If you'd like to book a hotel near this Jacksonville icon, then you should check out the Homewood Suites by Hilton Jacksonville Downtown/Southbank and Hilton Garden Inn Jacksonville Downtown/Southbank, which are within walking distance. The DoubleTree by Hilton Hotel Jacksonville Riverfront and also the Hampton Inn Jacksonville Downtown I-95 are both within strolling distance of the Jacksonville Landing, while the Motel 6 Jacksonville FL Airport Area - South and Value Place Jacksonville FL - North are positioned close to the Jacksonville Zoo and Gardens. The Museum of Science and History and the Jacksonville Symphony Orchestra are two other famous Jacksonville destinations. The Extended Stay America - Jacksonville -Riverwalk -Conv Center and the Lexington Hotel & Conference Center - Jacksonville Riverwalk are both close to the Museum of Science and History. While the Super 8 Jacksonville Downtown Area and the Scottish Inn Jacksonville Downtown, are close to the Jacksonville Symphony Orchestra. Jacksonville International Airport can be found 19 kilometres (12 miles) from Jacksonville. Should you wish to stay nearby, you can easily secure a room at the Crowne Plaza Hotel Jacksonville Airport/I-95N or the Hyatt Place Jacksonville Airport. What are the most popular Jacksonville hotels? Are there hotels in other cities near Jacksonville? 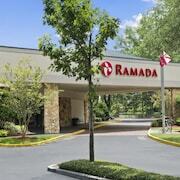 What other types of accommodations are available in Jacksonville? Explore Jacksonville with Expedia.ca’s Travel Guides to find the best flights, cars, holiday packages and more!